The homeowner had an old landscape with Arborvitae and other large plantings overcrowding the house and each other. We renovated the landscape by first removing the overgrown planting which hid the front corner of the home. 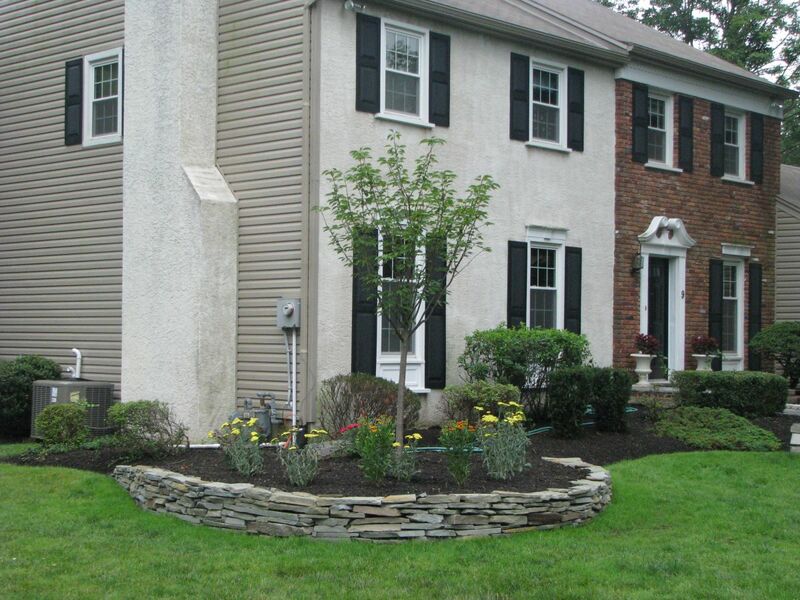 We then created a nice rounded landscape bed off of the corner of the home. 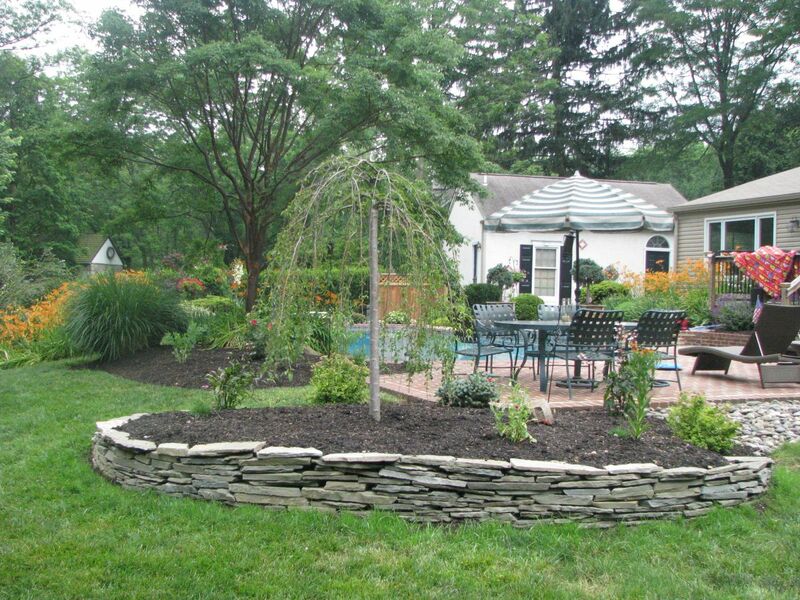 The landscape bed features a stacked stone wall around the corner which adds character and definition to the area. The Cherry tree and perennials in this new corner bed give a clean look and when things are in bloom the color really pops. Learn more about what we can offer on our Landscaping page.